Very few things are more pure, delightful and thrilling than getting intimate with the love of your life. And when it comes to the matter of hearts, things can get a little steamy and out-of-hand, making you land with a massive hickey on the side of your neck. While you may want to cherish this little souvenir from your partner, we all agree that it is embarrassing to step out of the house with a love bite. Hickeys are tenacious and stubborn, and your chances of making it disappear overnight depend on whether you have a mild hickey or a giant one. They can last for a time between 24 hours to two weeks. The internet has a number of home remedies that claim to make hickeys disappear in no time, but you must choose the right options to not aggravate the situation any further. If you don’t have a wardrobe full of scarves or turtlenecks, you’re going to need some legit home remedies to cover the hickey! 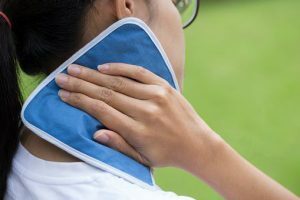 We all know that a hickey is not something that you go to the emergency room with, but it can definitely be embarrassing and needs to be handled. A Hickey (Hickie), also sometimes called a love bite or kiss mark is a bruise caused by biting, aggressive kissing or sucking of soft skin, usually around the neck or on the arm. Also known as a ‘love bite’ and ‘Hiky’, a hickey is a way to display your love and passion openly. When your skin is nibbled or suckled on, tiny blood vessels right beneath that patch of skin rupture, blood rests in a little pool underneath, making the skin appear purplish or blue-black from the outside. Let’s go over some of the things that you can do to heal your hickey in the best way possible. Please know that a hickey cannot magically vanish in a matter of hours, let alone minutes. Brooklyn dermatologist Robert Finney, M. D., and New York’s dermatologist Sejal Shah, M.D., have helped decode many of the internet hacks to paint a better idea of which remedies are actually useful. Follow these tricks, tips, and tested remedies that are quite effective and will help you get rid of hickeys quickly. 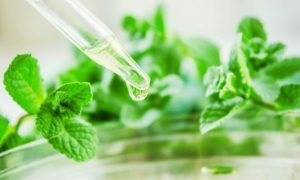 The internet claims that applying peppermint oil to your hickey will make your skin tingle, enhancing the movement of blood around the area to help heal the hickey fast. But the free warning that comes with it is if not done right, it might irritate your skin further. You have enough trouble on your hands, don’t you? Our dermatologists say that peppermint oil won’t do much to help. While it will work on the skin, it will do nothing to move around the pooled blood beneath your skin. So, you would basically waste your time if you go ahead with this. Massaging your hickey with a blob of aloe vera, the internet chimes heals the hickey gradually. It apparently patches up the broken capillaries so that they can be happy again. While our doctors do not discourage people to try this, they do maintain that it won’t help much other than comforting the inflamed skin on your hickey. You can actually try this if your hickey feels hot and angry on touch. No one likes the cold treatment, and your hickey is no different. If it is really fresh, chances are you can ice it out by compressing it with an ice pad or an ice cube wrapped in a thin cloth. 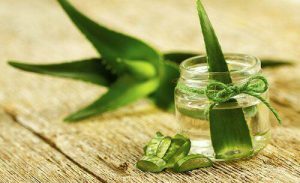 This will have the same effect as aloe vera and will make your inflamed skin rest a bit and heal better. Some others claim that a cold spoon helps to deal with hickeys. Yes, you read that right. If you are rolling your eyes, you are sensible. Netizens say that putting a spoon in a freezer for around ten minutes and then applying the back of it directly on to a hickey, several times, will make it vanish in minutes. Again, we hate to break it to you that nothing will make your hickey disappear in an instant. These tips may help to an extent, but the correct way to go about this is to understand the science behind each hack. This might sound bizarre because it is. The advice on the internet is to stretch the skin around your hickey to make the area firm. The idea is to drag a coin from the center of the hickey to the corners to circulate the blood that is sitting in a pool under your skin. We are cringing. Are you too? The dermatologists certainly are. They want us to absolutely refrain from trying this. If we don’t do this on bruises elsewhere on the skin, why would we do it to a hickey? This will bring you more harm than good. It’ll upset your skin even more. Toothpaste is the cousin of peppermint oil in this scenario. It will create tingly sensations but will definitely annoy your hickey if applied too much. Our dermatologists don’t dismiss it completely and say that toothpaste application can soothe inflammation. But, so does aloe vera. Go try that and stick to the toothpaste to brush your pearly whites. Do you hear your mind saying give me a break with toothpaste and toothbrushes already? Well, your mind can rest in some time. Proponents of this strange, seemingly painful, remedy say that gently massaging a hickey with soft bristles of a toothbrush will increase circulation and help the clotted blood to move along on its way. The dermatologists are waving red flags. Please do not indulge in this tomfoolery unless you want your hickey to be more inflamed and bruised than it already is. This is just like scratching it and will not make your hickey go away. Yes, the internet gurus simply ask you to drink as much orange or lemon juice as possible. Citrus fruits are packed with vitamin C and their intake, whole or juiced, heals hickeys. The doctors do not deny the benefits of vitamin C, but they, just like us, don’t see how oranges or lemons play a part in healing hickeys. They certainly will not make your hickey hide its ugly face forever or comfort your traumatized hickey zone. But drink up anyway. Fruit juice is good for health. This process involves rubbing your hickey with the inside of a banana peel. Its mushy interiors are said to have anti-inflammatory effects. Our doctors concur. We are as surprised as you are. As it transpires, the banana peel-houses all sorts of vitamins and nutrients that can surely tone down the inflammation. Looks like there is no harm in trying this. Take a little bit of cotton, dash it with some rubbing alcohol and lightly dab it on your hickey. We all know about the disinfectant properties of alcohol, but it is not much of a soothing agent. Since alcohol makes the skin dry, the dermatologists say that it won’t ease the inflammation caused by a hickey. Plus, they believe that this method is effective only when it is tried immediately after one gets a love bite. Vitamin K helps inhibits the formation of blood clots, resulting in the prevention of bruises. So applying Vitamin K ointments might help gathered blood to separate. However, drug interactions are serious affairs, and before self-medicating, please see a doctor. By now, you must have got the idea that a hickey has a mind of its own. It’ll go away when it wants to go away. They are generally harmless, but freak accidents have happened. But, at the end of the day, if you still find yourself stuck with one, resort to makeup. A good concealer or foundation–choose a shade that matches your skin tone–will do the trick for you. And if you don’t know the first thing about makeup, go buy a band-aid, cover your hickey with it, and go for that interview like a boss.